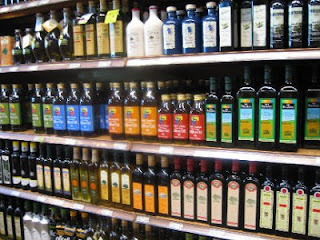 "What can I do to purchase true olive oil," reader Kgosi Johnson recently asked me. It's a question I hear often. It's also a reasonable question, given that between 50% and 80% of extra virgin olive oil in U.S. grocery markets is not really extra virgin. In fact, much of the olive oil sold to Americans isn't even produced from olives... and is purposely mislabelled. "U.S... standards are minimal, enforcement is non-existent, and consumers are willing to pay huge prices for what they mistakenly assume is a high-quality product." "In the absence of federally certified extra virgin, the California Olive Oil Council, a trade group, has created a similar certification process for oils in the state, with special labels granted to those that pass. The council has been helped by the Olive Center, a research facility that opened in 2008 at the University of California, Davis. "Last year, the Olive Center released a surprising study, based on laboratory and sensory testing, that found that 69 percent of imported extra-virgin olive oils — including big brands like Bertolli, Filippo Berio and Carapelli — bought off the shelves of California supermarkets failed to meet international standards. Most likely, the study concluded, many of them were simply not extra-virgin olive oil at all." The COOC certified just over 200 olive oils in 2010, and more than 250 oils in 2011. CLICK HERE for a list of extra-virgin olive oils certified in 2012 by the California Olive Oil Council. U.S. olive oil is produced mainly in California, with smaller volumes coming from Arizona, Oregon, Georgia, and Texas. In October 2010, the USDA issued new Standards for Grades of Olive Oil and Olive-Pomace Oil, a revision of federal standards in effect since 1948. The new USDA standards are rigorous, and similar to both COOC and International Olive Council's standards. In May 2012 after miry internal debate, the USDA finally issued its Grading Manual for Olive Oil and Olive-Pomace Oil.... a 31-page technical manual for inspectors "to give background information and guidelines to assist in the uniform application and interpretation of U.S. grade standards, other similar specifications, and special procedures." (Whatever the heck that bureaucratic mumbo-jumbo might mean... ) USDA olive oil testing will take place at its Blakely, Georgia lab. But here's the biggest gaping glitch: USDA olive oil standards are purely voluntary, and apparently intended as standards to be enforced by other "State and Federal agencies if these products are mislabeled." The International Olive Council is a 23-member intergovernmental organization based in Spain, that promotes olive oil around the world by tracking production, defining quality standards, and monitoring authenticity. The United States is not a member of the IOC. The 23 member-governments enforce IOC standards for olive oil sold in their countries. How Can You Find Real Extra-Virgin Olive Oil? How can you find real, bona fide extra-virgin olive oil, and ferret out the fraud of fake olive oils? Know your grower and his farming ethics and practices. Personally, I enjoy Bari Organic Extra-Virgin Olive Oil as an add-on through my CSA produce provider. 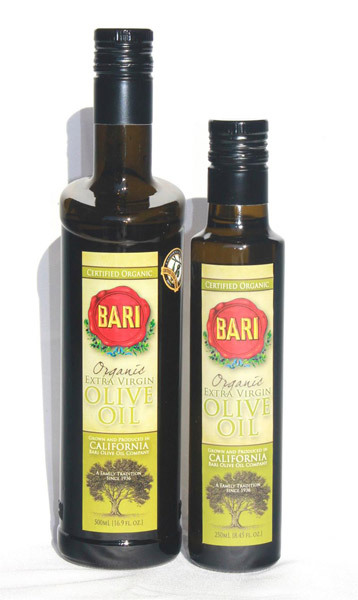 Bari is included in the COOC's 2012 extra-virgin certification list, and has also been certified as organic. Websites for olive oil producers on the COOC certification list provide locations or details where you can buy their products. One thing I never do anymore: buy olive oils off the grocery shelf without first doing a lot of research and homework. As Chris Kimball, founder of the respected America's Test Kitchen, noted on his radio broadcast, buying olive oil in grocery stores is "a complete crapshoot."